Owners dropped the price AGAIN!!! You can't beat this this high-end Seminole Heights home. This 2-year-old 4 bedroom, 2 bath home is an oasis in the middle of the Heights with tons of upgrades and still under Builder Warranty! 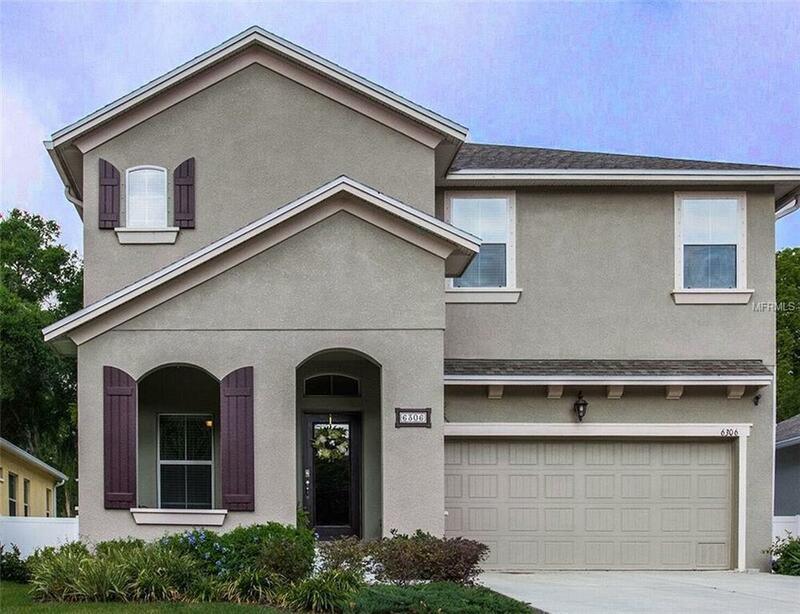 This spectacular home has 10-foot-high ceilings, large open floor plan, all wood cabinets, granite counter tops and brand new appliances and a pantry. But wait till you see the backyard! Enjoy your quiet time looking out over your custom heated pool and a huge fenced back area for the Kiddos (or adults) to play. Tucked away for those intimate gatherings is a quaint pergola which is great for entertaining. Head upstairs and walk through French doors to the large Master Bedroom with tons of natural light, tray ceiling, and an on-suite with soaking tub and shower, dual sinks with a large walk in dressing room/closet. The other 3 bedrooms are large and filled with light and generous closet space. The UPSTAIRS inside utility room is right next to the bedrooms for your convenience along with an open loft space. The 2-car garage is Air- Conditioned and has abundant custom storage shelving. This home has too many upgrades to list! A large shed with electricity provides abundant storage. Living in this community would provide an urban lifestyle with a short commute to the trendy restaurant, Waterworks park, the Riverfront, down town Tampa and all the Trendy restaurants and breweries in Seminole Heights. This is a must see!